Join Captain Scarlet, Destiny Angel, Captain Blue and Lieutenant Green as they battle the Mysterons and fight for the future of the Earth. Gerry Anderson's classic cult 1960s TV series, 'Captain Scarlet and the Mysterons' is back on our screens in the most impressive animated series to hit kids' TV this century. Now called 'Gerry Anderson's New Captain Scarlet' it uses motion-capture CGI instead of puppets which gives each character much more believability and enables each episode to be packed with break-neck action and stunning visuals as well as breath-taking scenes, mind-blowing action and dramatic storylines in each 22-minute episode of Gerry Anderson's New Captain Scarlet it packs all the punch of a blockbuster movie. 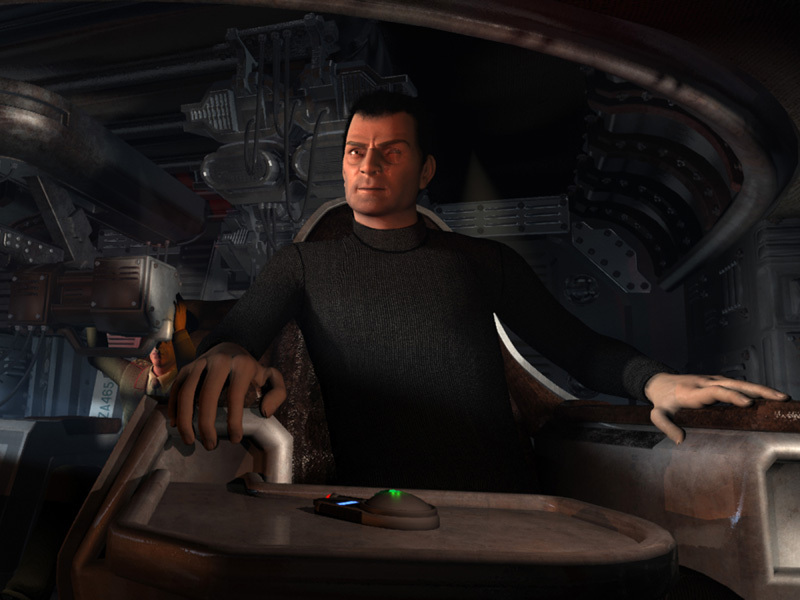 With production costs of $30 million across 26 episodes and produced in High Definition with Dolby 5.1 Surround Sound, New Captain Scarlet brings the cinema experience directly into the home. When a mysterious extraterrestrial signal is detected emanating from Mars, the world security organization known as Spectrum sends agents Captain Scarlet and Captain Black to investigate. The two men soon discover the source of the signals: a huge alien city, which materializes into visibility before their startled eyes. The aliens dispatch a probe to examine the Earth vehicle, but Black assumes it to be hostile, and fires a burst of missiles which utterly destroys the entire city. However, the alien buildings immediately reform using an unearthly process known as retro-metabolism, and the city's inhabitants, the Mysterons, immediately retaliate by killing Black and declaring war on Earth. The Mysterons are able convert anyone or anything to their cause by destroying the original and then recreating it as a new, 'Mysteronised' agent - capable of employing any means necessary to bring about the downfall of the human race. 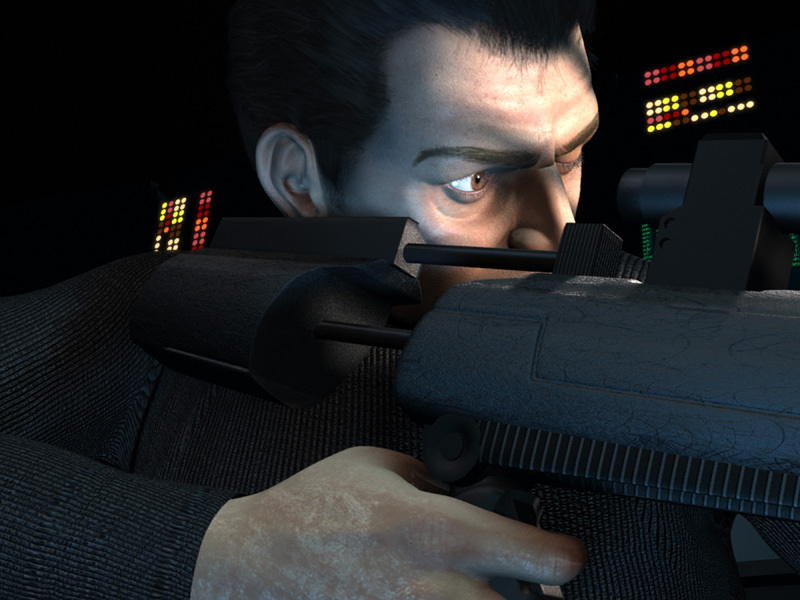 From Spectrum's high-flying center of operations, Skybase, its leader, Colonel White, uses all available resources to thwart the Mysteron threat, including a crack team of colour-coded agents; the sleek but deadly Angel Interceptors, also known as Falcons; the tank-like Rhinos; and the ultra-fast Raid bikes. One of Spectrum's top agents is Captain Scarlet; once a Mysteron agent, Scarlet was able to throw off his conditioning and regain his sense of loyalty to Spectrum, with the added bonus that he is now indestructible. 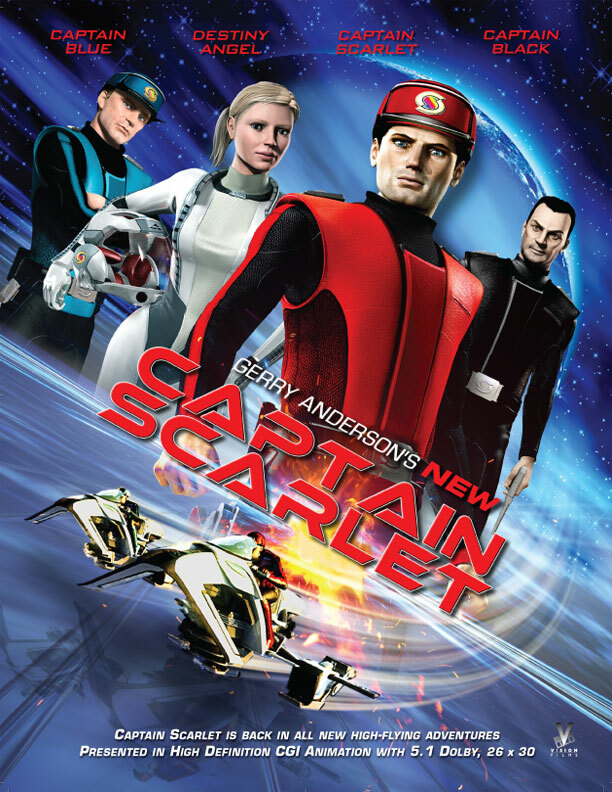 Fearless in his mission to protect Earth, Captain Scarlet is aided by the brave and intelligent Captain Blue, and together they attempt to defeat the menace of the Mysterons. EPISODE LIST: INSTRUMENT OF DESTRUCTION (PART ONE) Mysterious signals lead Spectrum agents Captain Scarlet and Captain Black to Mars, and the dawn of a war of terror with evil invisible aliens, the Mysterons. A war in which both men will play lead rolls – on opposing sides. INSTRUMENT OF DESTRUCTION (PART TWO) Captain Scarlet, free of Mysteron control, but made virtually indestructible by them, begins a desperate search for the aliens’ instrument of destruction, Captain Black – and must stop a countdown to the end of the world! RAIN OF TERROR Experiments into rainfall stimulation are hi-jacked by the Mysterons, and Captain Scarlet and Colonel White face a terror that falls from the skies. MERCURY FALLING Captain Blue and Destiny Angel are stranded above the Earth in an orbiting space shuttle controlled by a crook with a plan to blackmail Washington. Things can only get worse when Captain Black intervenes. SWARM Skybase is invaded by a swarm of deadly robotic bugs, and Lieutenant Green could be all that lies between survival and destruction for the whole of Spectrum. TOUCH OF THE REAPER Two scientists are replicated by the Mysterons as assassins infected with a disease that can kill with just one touch. Scarlet and Blue are pitched into a hunt against the clock to find them – but the Mysterons have a trick up their sleeve. TRAP FOR A RHINO Harmony investigates the report of a UFO sighting in Scotland and finds herself the bait in a Mysteron plan to destroy a nuclear power station. THE HOMECOMING Fifteen years after he went missing on the first manned mission to Jupiter, Lieutenant Green’s father returns to Earth in a cryogenic sleep – but is it really him? CIRCLES OF DOOM The Angels have a close escape when on-board electronic systems fail. Scarlet and Blue find a connection with crop circles appearing in southern England – and the only way to stop Captain Black is a piece of history. RAT TRAP Captain Scarlet leads a rescue mission when Spectrum loses contact with its base on Mars. But Scarlet, Blue, Destiny, Harmony and Dr Gold find themselves trapped by a deadly intelligence. THE ACHILLES MESSENGER The Mysterons range massive forces against a rebel that takes over the body of a woman in order to bring the war with Earth to an end. Scarlet must protect her at all costs. 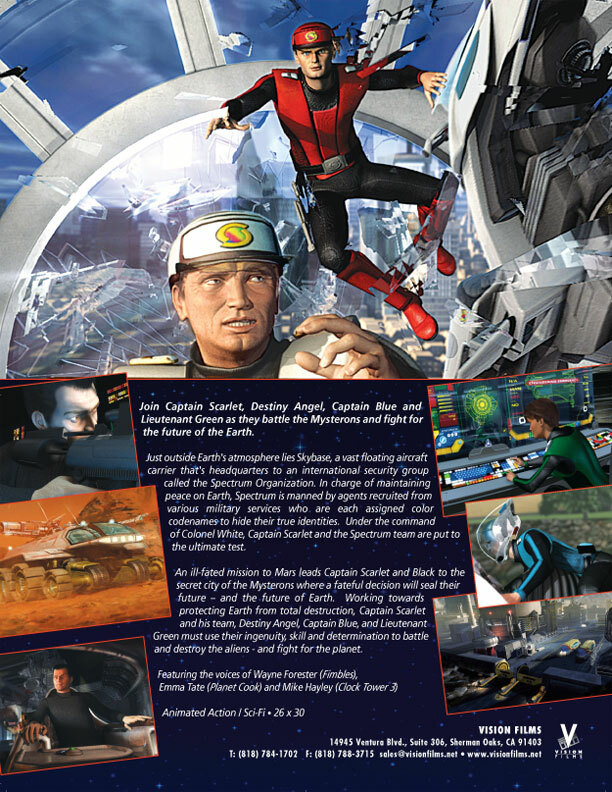 CHILLER Captain Scarlet discovers a plot to destroy Skybase. But when Mysteron agents try to kill him, Scarlet wakes up in Skybase sickbay and finds a grieving Destiny Angel – and no one can see or hear him. Is virtually indestructible Scarlet dead? Can he save Skybase from beyond the grave? HEIST Colonel White’s daughter is kidnapped. But is it a plot by crooks to force him to help them rob a bullion train with a Rhino, or are the Mysterons playing a more sinister game? VIRUS Scarlet finds himself pitted against a computer virus that can kill. SKIN DEEP When missile launch codes are stolen from a military base Destiny is identified by security cameras as the thief. Have the Mysterons taken her over? Scarlet must find out. ENIGMA An alien spacecraft crashes into the Australian desert. Spectrum investigates, and Scarlet is offered a chance to stop the war with the Mysterons before it even starts. BEST OF ENEMIES Scarlet and Black agree an uneasy truce when they find themselves trapped and must work together to escape an icy grave – but just how much can Scarlet trust his one-time friend turned mortal enemy? CONTA When scientist Phil Bogart disappears with a matter disrupter bomb, Scarlet and Blue have to rely on a telepathic link with his brother Frank to find him. But Frank Bogart is a convict with his mind set on escape PROTEUS Trapped aboard Proteus, a state of the art stealth warship controlled by the Myterons, Scarlet, Colonel White and Lieutenant Green have to evade being caught by a pack of deadly robots and stop the aliens triggering a new world war. 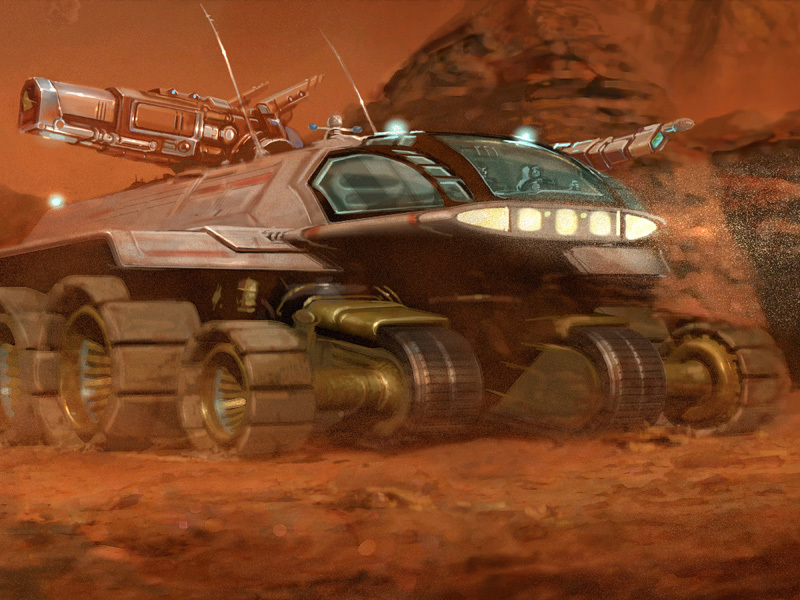 SYRTIS MAJOR Vulcan Industries breaks the UN exclusion order on Mars and sends a maintenance team to its closed-down Martian operation. When Scarlet leads a team to bring them back, its survival is put in Destiny’s hands. FALLEN ANGELS Angels Destiny, Harmony and Melody are stranded on a tropical island for 24 hours, but paradise soon turns sour when they find themselves being hunted by Mysteron-controlled pirates. THE STORM AT THE END OF THE WORLD Scarlet and Blue track a rogue Russian Druzynik tank into Alaska and discover an entire town that’s been taken over by the Mysterons. Then Scarlet is forced to make a life or death choice between his friend and the future of the entire human race! DUEL Destiny and Lieutenant Green are taking a vacation at Serendipity, an artificial beach resort in a lunar biosphere but Scarlet uncovers a plan to destroy it – and finds himself caught in a duel for survival on the lunar surface with Captain Black. SHAPE SHIFTERS Scarlet apparently attempts to assassinate Colonel White, but as Blue leads a search for him in Cajun Louisiana, an unstoppable chameleon force is stalking the decks of Skybase – and only one man can destroy it. DOMINION When Scarlet takes Black captive the former Spectrum agent appears to have escaped the control of the Mysterons. Black claims his knowledge of the Mysterons can destroy them and urges Scarlet to return to Mars with him and end the war he began. But can Scarlet trust him? GREY SKULLS Scarlet is on a camping holiday with his sister and her son, but when they escape a Mysteron attack on the highway their nightmare is only just beginning. They take refuge with toy collector Alexander Woodchurch and discover that some toys are not for playing with.